The effects of nonlocal and fractal connectivity are investigated in a network of Leaky Integrate-and-Fire (LIF) elements. The idea of fractal coupling originates from the hierarchical topology of networks formed by neuronal axons, which transmit the electrical signals in the brain. If a number of LIF elements with finite refractory period are nonlocally coupled, multi-chimera states emerge whose multiplicity depends both on the coupling strength and on the refractory period. We provide evidence that the introduction of a hierarchical topology in the coupling induces novel complex spatial and temporal structures, such as nested chimera states and transitions between multi-chimera states with different multiplicities. 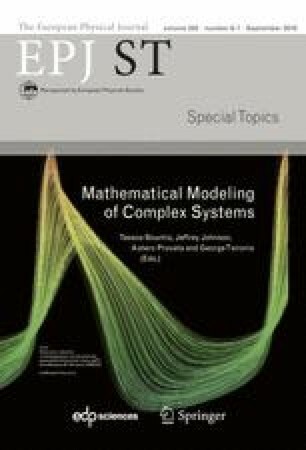 These results demonstrate new complex patterns, as well as transitions between different multi-chimera states arising from the combination of nonlinear dynamics with the hierarchical coupling.